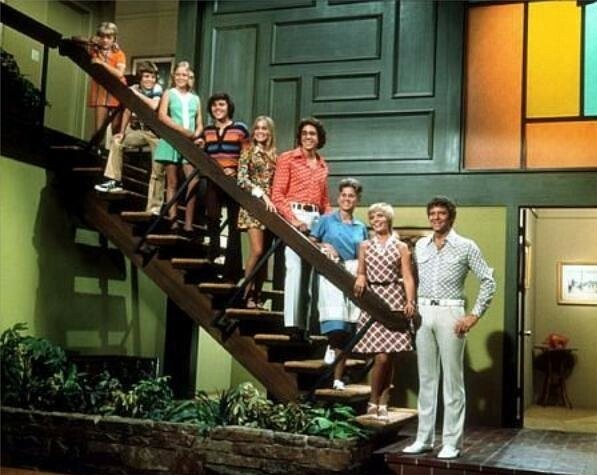 In a fifth season episode of The Brady Bunch, Mike (Robert Reed) needs to deliver architecture plans to a big amusement park in Cincinnati and brings the whole family along. At the park, Mike’s designs accidentally get switched with a Yogi Bear poster that Jan’s won and the drawings are subsequently lost. The Brady clan work together to find the missing plans and get them to Mike in time for his big meeting. 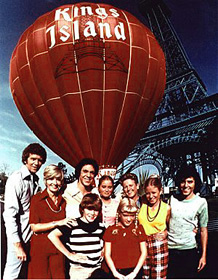 “The Cincinnati Kids” was filmed in the summer of 1973 at Kings Island amusement park in Cincinnati, Ohio. It took one week to shoot the episode and caused an overflow of public interest. Though the park isn’t mentioned by name in the episode, many landmarks of the Kings Island park are feature prominently onscreen. The cast stayed across the street at the Kings Island Inn which also became overrun with onlookers. The Partridge Family had filmed an episode a year earlier, primarily at the Inn. At the time, the park was owned by Taft Broadcasting. Paramount, who produced both Brady Bunch and Partridge Family, was a major shareholder in Taft at the time and Paramount Communications eventually purchased the park. Now, 35 years later, some of the Bradys are coming back to Kings Island. On Sunday, August 31st, Barry Williams (Greg), Susan Olsen (Cindy) and Mike Lookinland (Bobby) will be returning for a special celebration. They’ll be singing, dancing, and sharing stories with the audience for four shows at the Kings Island Theater. In addition, there will be opportunities for autographs and meet-and-greet sessions following each performance. As Brady fans know, this sort of thing doesn’t happen every day. While Williams has remained quite active in performing, the youngest Bradys haven’t performed on stage in many years. Olsen has worked as a graphic designer and a talk show host while Lookinland devotes most of his time to TV and movie camera work. If you’re in the area, the Brady shows are free with regular admission to the park. You can find more information about “A Very Brady Reunion” here. Stay tuned! Cast Reunions of Eight is Enough, The Partridge Family, and The Brady Bunch!